Steve Ditko, the Marvel Comics artist who gave the world the woven webs and soaring red-and-blue shape of Spider-Man and the other-worldly shimmer of Doctor Strange, has died at age 90. Ditko was found June 29 in his Manhattan apartment and was pronounced dead at the scene, police said. No further details were available. Ditko, along with writer Stan Lee, introduced the world to Peter Parker and his alter-ego Spider-Man in 1962 in an issue of "Amazing Fantasy." A year later, Ditko introduced the world to surgeon-turned-metaphysical superhero Doctor Strange. Spider-Man would go on to become arguably the most indispensable and recognizable character in the Marvel universe, and Doctor Strange a member of its permanent pantheon. "Comics are unimaginable without his influence," tweeted Patch Zircher, a comic-book artist who has worked on "Batman" and "Superman" for DC Comics. "He co-created Spider-man, which will be remembered as significant as Doyle creating Sherlock Holmes or Fleming creating James Bond." 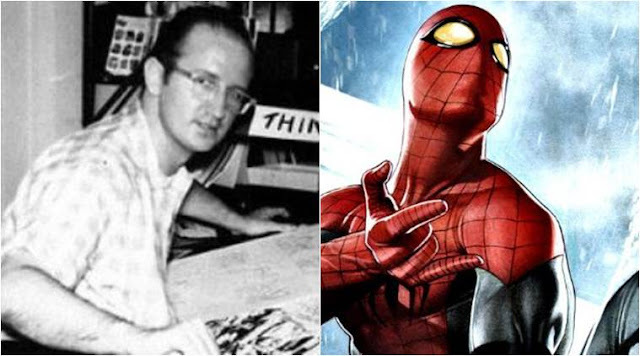 The son of a steel-mill worker, Ditko was born in Johnstown, Pennsylvania, in 1927. He began working in comics in the 1950s in New York, eventually landing a drawing job with Marvel forerunner Atlas Comics. Jack Kirby, Lee's artist on the Fantastic Four and many other Marvel characters, took a stab at creating Spider-Man in 1961, but Lee was unsatisfied and gave the gig to Ditko. One of his later creations was Squirrel Girl, who after her debut in 1992 became a cult favorite among comics fans. He maintained a writing studio in Manhattan until his death.